KYOcount is an application for monitoring, analysing and managing printers, copiers and MFPs. Accounting functions are also supported which allocate and limit printing costs where necessary. 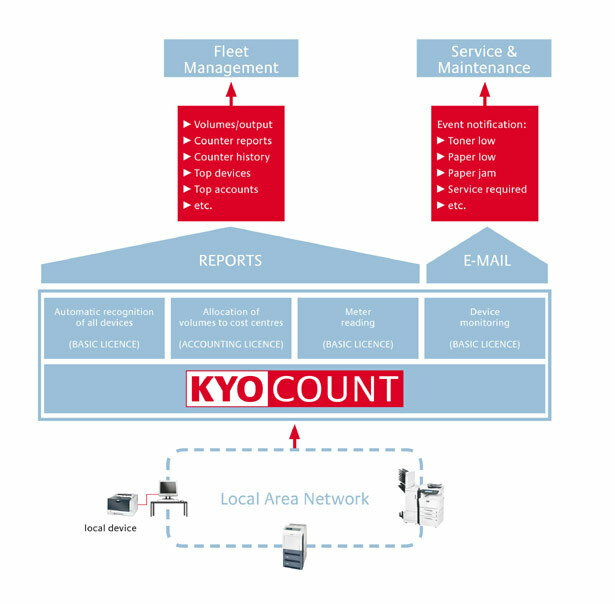 KYOcount enables the whole fleet to be centrally managed from one-location which benefits larger organisations with multiple locations. The software is able to generate clearly structured reports, keeping administrators up-to-date on system status at all times.